These cute little dogs usually live to 10 years of age, but given lots of love and attention and the right nutrition will often live to 13 years. This delightful little dog is easy to care for as its short, smooth, odourless coat requires little more than a daily brushing. 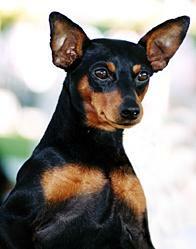 Although lightly built, it is quite robust, but having a naturally fine coat it is best suited as a housedog. Some may need a coat for outdoors in the colder weather. With its hunting Terrier background it is naturally quite active, and although it can manage well in a small garden or apartment, it will still benefit physically and mentally with a daily walk.